Judie Lulow received her A.B. degree from Smith College and a Masters in Early Childhood Education from Teachers College, Columbia University in NY. Her teaching career began at P.S. 166 in Manhattan and she then spent eighteen years teaching at P.S. 87 before joining Accelerated Literacy Learning in 2004 as a consultant. While a classroom teacher, Judie developed an integrated curriculum based on patterns (in math, science, art and literature), as well as a Heroes curriculum which focused on student-written biographies of a diverse group of people who have made a difference in the world. She also served as a Literacy Cluster teacher for several years. 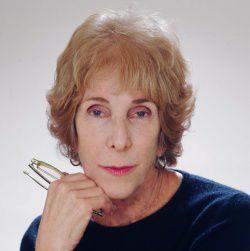 Judie has worked with both lower and upper elementary teachers and coaches providing professional development including modeling lessons, articulating the Workshop Model, assisting teachers in planning and designing lessons, and providing workshops in areas such as Developing the Writer’s Notebook and Conferring. Her goal is to assist schools in establishing and implementing rigorous literacy programs.